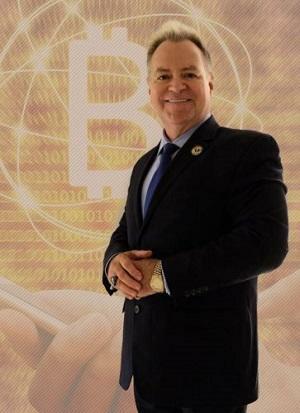 LAS VEGAS, NV / ACCESSWIRE / October 26, 2017 / CrytoCurrency expert and entrepreneur Joff Paradise will be speaking at the upcoming CryptoCurrency Expo in Dubai, scheduled for October 29-31, 2017. Paradise is a renowned expert in the crypto-trading space after establishing several successful businesses in a variety of industries. After founding crypto-trading platform Trade Coin Club, Paradise has experienced rapid expansion and has helped new and experienced crypto-traders all over the world experience financial success. "I am humbled to be given the honor of speaking at this year's CryptoCurrency Expo. The crypto community is full of some of the most inspiring and innovative people I have ever met. I've been fortunate to make several connections and close friends. I'm very excited to give back and share some of the techniques and innovations that have worked for me and my people," Said Trade Coin Club Founding Partner Joff Paradise. "The crypto-space is constantly evolving, which makes it very exciting and fast-paced. You have to be on your game. You have to be a constant student. The ones who are successful have this type of mindset - they combine hard work and education to great results. Every time I go to these types of events I get energized and am able to go home filled with new knowledge and energy. I can't wait," continued Paradise. Founded by entrepreneur Joff Paradise Trade Coin Club (TCC) allows individuals to tap into the emerging Bitcoin cryptocurrency trading space as a means to generate streams of income that lead to financial solvency and increased income through its proprietary software, educational products, and marketing support. The worlds largest Cryptocurrency Expo brings together professionals, bankers, investors, educators and miners from different parts of the world. The CryptoCurrency Expo event provides a real perspective on the state of the crypto industry, future trends, business opportunities and innovations.